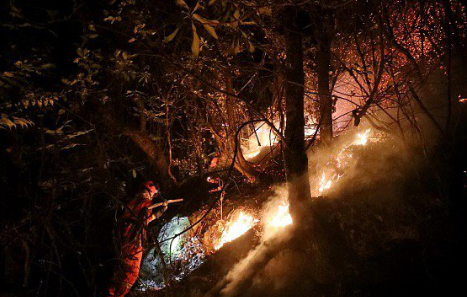 BEIJING – The Chinese military says 24 firefighters have been killed while battling a forest fire high in the mountains of western Sichuan province. The People's Liberation Army's Western Theater Command said the deaths occurred after a change of wind Sunday as the firefighters were battling the blaze in a rugged area at an altitude of 12,500 feet. A total of 689 firefighters were battling the blaze that erupted on Saturday, but contact was lost Sunday with 30. Two helicopters carrying medical staff were Posted and two of the missing firefighters were found and confirmed the deaths of the others.